We managed to catch another limit of dolphin yesterday. It was pretty sporty offshore today but the charter hung in there tough and we made it happen . Good job guys! Limits of dolphin and another wahoo . Great fishing everyday and beautiful weather . Come and join us for a great adventure . Another great day of dolphin fishing ! Our charter caught a limit and had two nice wahoo. One was a 45 pound citat ion , way to go guys! Another great catch of dolphin for our charter today. We had a fun group of guys that enjoyed their day on the water . Another great day on the ocean with a wonderful group from Northern Va. These guys were really a team. First thing in the morning they caught a limit of dolphin and caught a White Marlin before lunch. 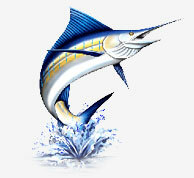 We had a sailfish come in and try us but we could'nt make it stick. In the afternoon we would catch a few more dolphin and a nice wahoo to finish the afternoon. Please give the fishing center a call if you would like to enjoy some of this action . The weather is going to be beautiful the rest of the week and the begining of next. Don't miss out, the fishing is hot! Fun trip today, with a great group of people. These guys were real fishermen! They caught a limit of dolphin in the morning and then went on to catch a white marlin and a sailfish before heading home. The ocean was beautiful today! We still have some days open in August . Dolphin fishing is really hot right now and the marlin action gets better everyday! We had a great group of guys from New York fishing with us today. We had great dolphin fishing all day and ended up with a limit. After lunch we had good marlin action. The guys did a great job catching a pair of sails and a pair of white marlins. Fishing is getting hot don't hesitate to call the fishing center and book a day with us on the Dream Girl. We had a fun group of guys today on the Dream Girl . We caught Yellow and blackfin tuna and some nice gaffer dolphin. Water was pretty and can't wait to get back out tomorrow. 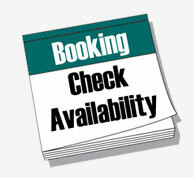 Please call Billy Baum or the Oregon inlet fishing center to book a trip, we have some days open this month . We had great action today with mahi tuna and a nice wahoo! Our crew landed a nice blue one today along with a few mahi mahi great going guys! Congratulations to the crew capt. Jay and Buddy for a great blue marlin boated aboard the dream girl! What a day a six hundred and twenty six pounder congratulations guys!! We gad another great day in the ocean aboard the dream girl today! Our crew did a great job landing three white marlin along with a sail fish and a couple mahi mahi! We had great marlin action today catching five whites. Our anglers also landed an eighty pound tuna on 25 pound line at he end of the day! Great going guys! Good times on the dream girl! We had good dolphin action today with three large schools that were hard to get to bite our anglers did a great job scraping out a few along with a nice tuna and a sixty pound wahoo! We had great action today with mahi,kings,small yelowfin,and a few big sharks we released. Great going guys on your day and thanks!